타이틀 곡 <Q&A> MUSIC VIDEO가 공개되었습니다. 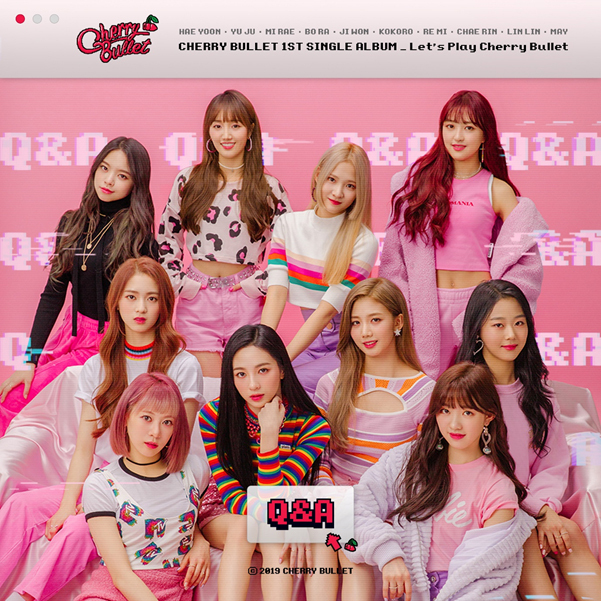 All the tracks of Cherry Bullet’s 1ST SINGLE ALBUM [Let’s Play Cherry Bullet] and the MUSIC VIDEO of the title song < Q&A> has released on January 21st. Please give your love and support.